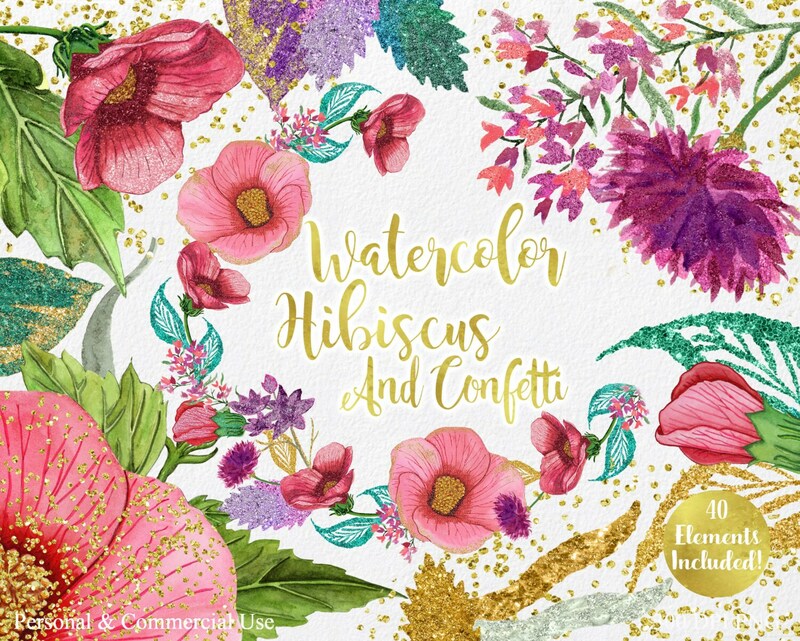 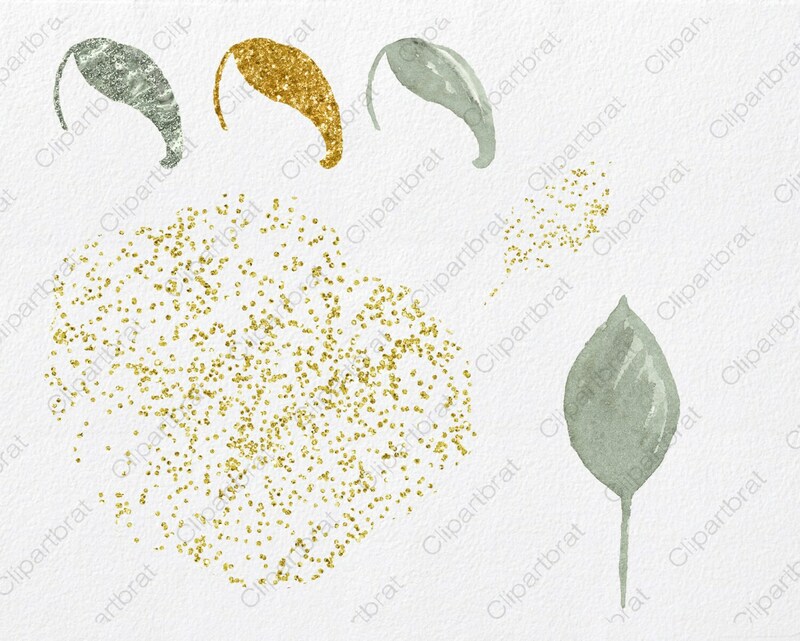 WATERCOLOR WITH GOLD CONFETTI & GLITTER PAINT - HIBISCUS FLOWERS & LEAVES 40 Elements, Purple, Gold, Pinks, Coral & More! 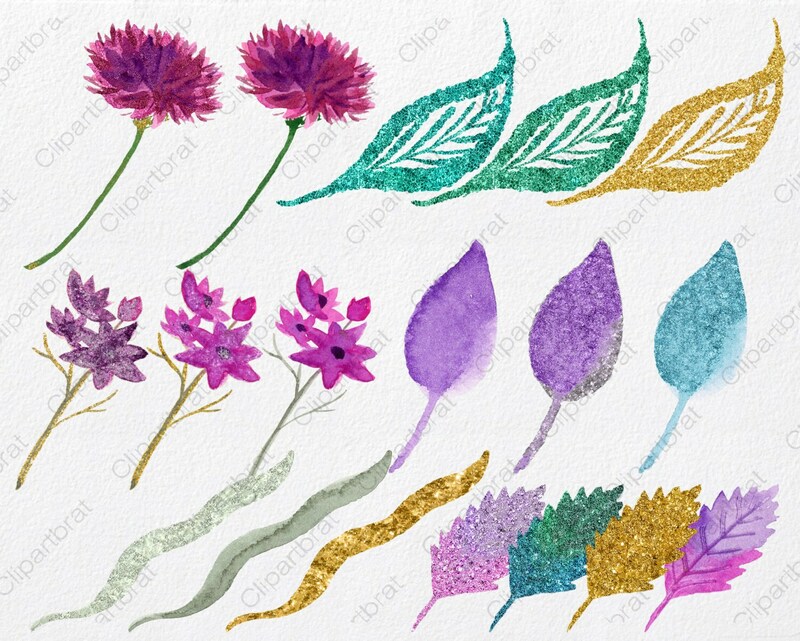 HAND-PAINTED Watercolor FLORAL CLIPART - 40 Flower elements - ALL Hand-Painted WATERCOLOR Textured ILLUSTRATIONS- Have fun creating with this set of WATERCOLOR & GOLD FLORAL CLIP ART!! 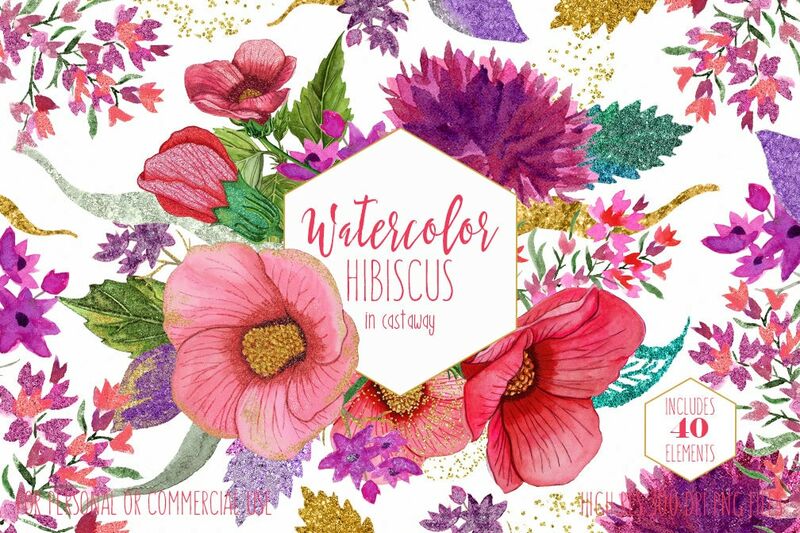 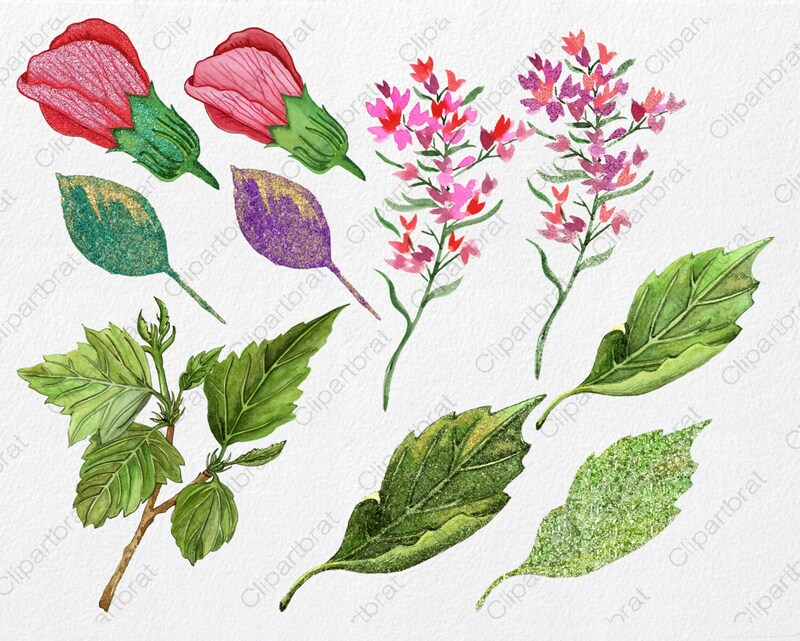 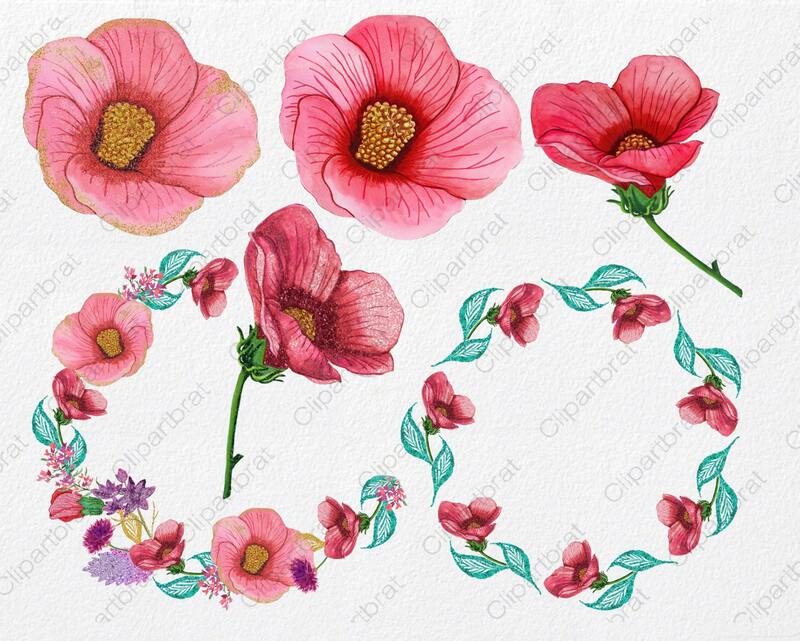 - 40 WATERCOLOR FLOWER elements shown in first 2 photos - 300 dpi PNG files, with transparent backgrounds Large images Can easily be sized up and down as needed!